Dental School: Howard University 2001/D.D.S. Dr. Shearin was born in Manassas, Virginia and grew up in Virginia Beach. In college, he was part of a research project team in the molecular-biology department studying bacteria modification. Every year he was a Dean’s List student for his academic excellence. Following his graduation from Dental School, Dr. Shearin continued his training in a one-year residency program at the Veteran’s Hospital in Washington, D.C. Currently, he lives in the Grant Park area of Atlanta and in his spare time, enjoys cooking (he claims to be the grill king), traveling the Caribbean and South America, winning trivia contests, going to the movies, and reading a wide variety of non-fiction books (ask him about his current book). 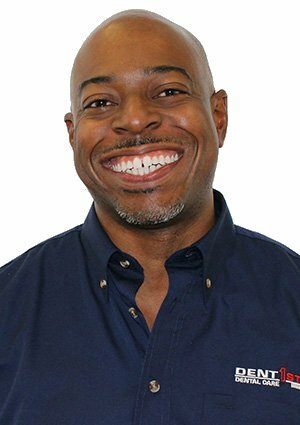 Dr. Shearin enjoys all aspects of restorative and cosmetic dentistry, and is a member of the National Dental Association, Academy of General Dentistry, and the American Academy of Implant Dentistry. Patients can visit Dr. Shearin at the DentFirst Jonesboro office.